The long wait is over! After almost a month off blogging and three sofas later, I am finally in my new flat! More importantly I now have INTERNET!! What did we do before Wifi, seriously? SD cards finally found in that special place I put them so I wouldn’t forget (and then forgot), blogging camera now charged – the return to blogging can begin!! 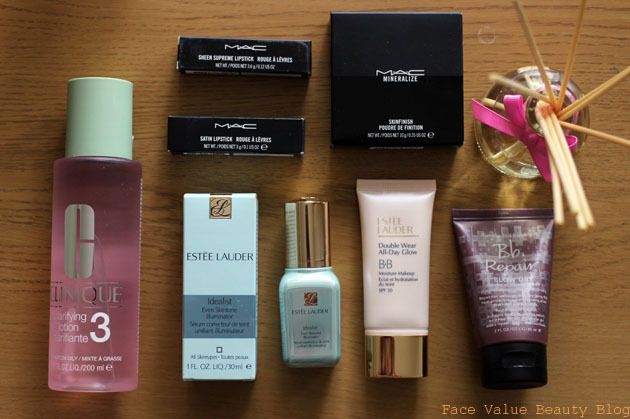 And what is a better way to celebrate a return to blogging than a big beauty blog haul?! Two words – BICESTER VILLAGE. Anyway, enough of the intro now – tell us Zoe, WHAT DID YOU BUY? First up, some MAC was in order! 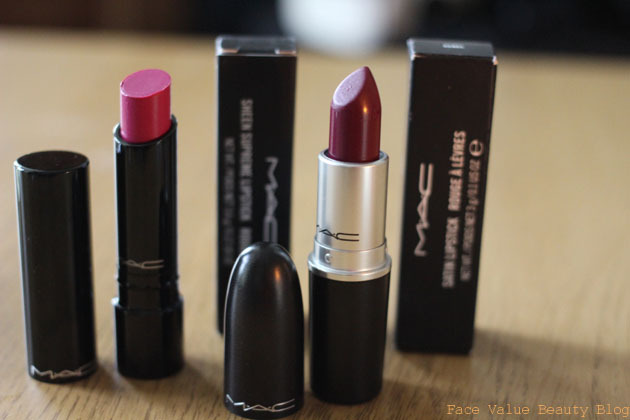 I’ve been looking to increase my MAC lipstick collection for a while but at £15 a pop, it gets expensive! However, when they’re £10 with 10% off, that’s a whole other story! 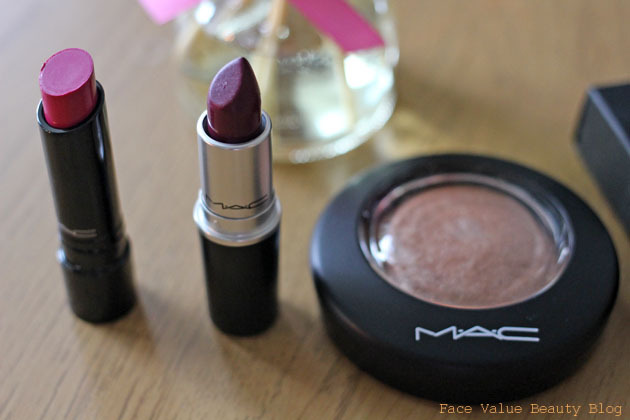 I’ve been meaning to get Rebel for some time now – it’s the perfect deep berry purple red. I bought a Sheen Supreme in Zen Rose too, to keep Rebel company in the shopping bag of course.. The Zen Rose is a shiny hot pink/purple – it’s super creamy and easy to wear. I am definitely going to invest in more of these! 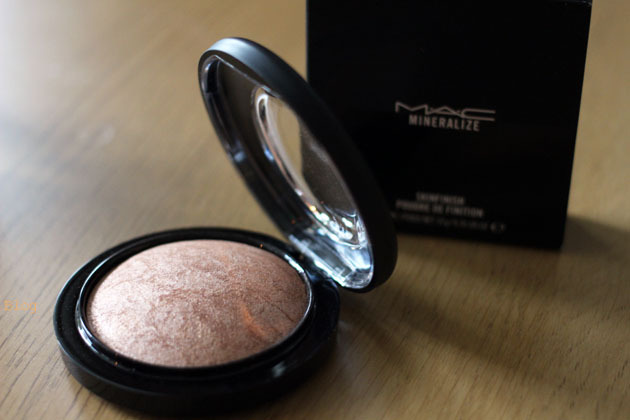 I decided to treat myself to something different, something I’ve not had before – so I went for the MAC Mineralize Skin Finish in Global Glow, a neutral tan shade with frosted silver highlights. 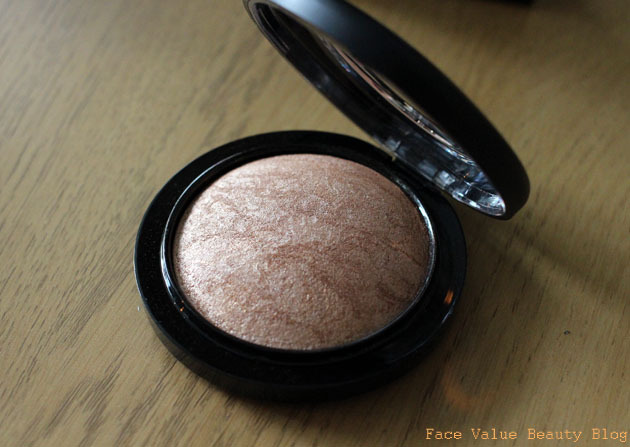 It’s great quality, really finely milled and a lovely texture that lasts all day every time I’ve worn it. A really nice product that makes it seem worth it’s price tag. Nice one MAC. 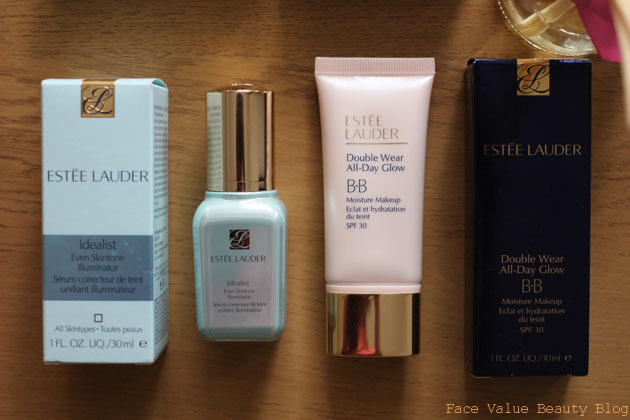 I also picked up some Estée Lauder goodies – this Estée Lauder Double Wear All-Day Glow BB cream is perfect for this heatwave as its SPF30. SAVE YOUR SKIN!! First thoughts – it’s a great mix of coverage and natural dewiness but you need to put a primer on first as it dries a little bit sticky on bare skin. I also found best results setting it with a bit of powder to take away some of the ‘glow’ as dewiness always looks shiny on me. Fortunately I’ve found a primer that works brilliantly with this!! The Estée Lauder Idealist Even Skintone Illuminator is not quite a primer but it dries to a lovely smooth, clean finish (a bit like ThisWorks Camera Closeup!) which makes a fabulous base for makeup. It reminds me of a golden version of Burberry Fresh Glow, oh yeah and it smells DELISH. Finally – let’s step away from the face and look at the HAIR. Here’s where I am with this. I love Bumble and bumble. I have damaged, coloured hair. 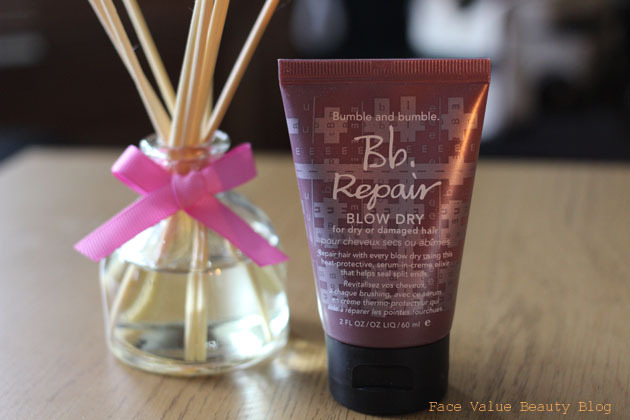 THUS – Bumble and bumble Repair Blow Dry cream! It smells great, it’s runnier than you’d imagine so that makes it quite easy to spread through the hair. It’s too early to tell whether it repairs the hair, but so far so good! Yes sir, WE ARE BACK IN BUSINESS!